belle maison: New York & Nate Berkus! 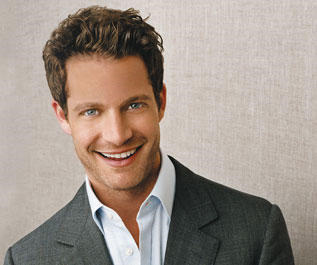 New York & Nate Berkus! Only been to NY once but it was a blast. Enjoy! Very exciting. You must go to ABC Home. http://www.abchome.com/ It is amazing. I'm following you here from Vintage Home. He really promotes the blog world. Readers of Holiday with Matthew Mead. I hope you and your readers that subscribe to Matthew Mead's Holiday Summer Edition have a chance to check out my Giveaway that ends soon. YIPPIE JULIE! Enjoy your time and take every bit of the city in...NEW YORK, NEW YORK...an adventure awaits. HOW EXCITING! I'm so jealous...You have to share your experience. Enjoy! The BEST place in New York!! trust me on this one, its outdoors on rooftop, its even open in the winter with heat lamps outside... No place like it! Its great for happy hour as well, and just down the street from bergdorfs and bendels. There are 3 locations, the Union Street location would be the one closer to Tribeaca. If you like Cuban, they have live entertainment and the best food! Well there you have it, a few of my faves. - Take a walk on the Highline and then through Chelsey to see some art galleries or you can look around 14th street at the high-end stores. Drinks at the Standard Hotel are a nice start or finish to the Highline experience. - My favorite is afternoon tea in NYC, I've been going to the Ritz on Central Park and it's great and you can see the park then too. Cafe Habana Prince street, best kept secret, A hole in the wall with the most AMAZING Cuban food and drinks you'll ever have. With a fun Nolita downtown artist/fashion/off beat crowd. My boyfriend and I go there all the time. You will be addicted. Very NY, not commercial. OMG I'm dying of jealousy right now! Death and Company for drinks is a must! Get there early to put your name on the list because the place is small and the wait can be long, but it's sooo worth it. Amazing cocktails, chic ambiance, great food. If I had my way I'd be sipping a Southern Exposure and eating some crispy fries RIGHT NOW!